At this time of year, the vast majority of our product lines are in high demand (except for maybe BBQs and outdoor furniture for obvious reasons, especially in light of the snow that many of us have experienced this week!). 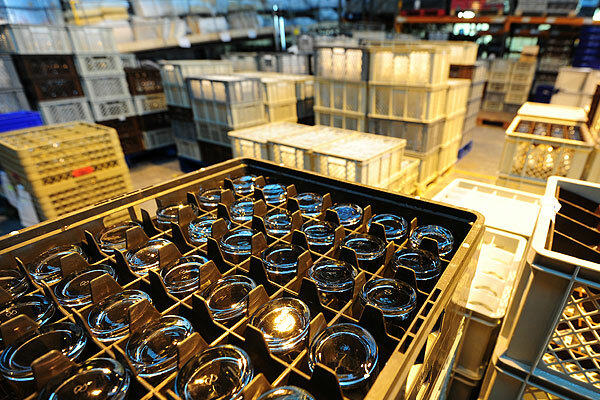 Here's a shot of a few thousand glasses of all different types - water tumblers, wine glasses and champagne flutes ready and waiting to be delivered for the next event. Our sales and distribution centres are working tirelessly to fulfil all the orders that have been placed whilst ensuring that quality and quantities are right first time. If you need to hire glassware for Christmas events, speak to one of our expert sales team today!